Dr. Hung K. Cheung, MD, MPH, FACOEM, Founder and President of Cogency, was recently appointed to the Advisory Panel at Johns Hopkins Bloomberg School of Hygiene and Public Health Department of Environmental Health Sciences (JHSPH). Located in Baltimore, Maryland, the Advisory Panel oversees the JHSPH Summer Institute Program, providing input on course recommendations and program performance. 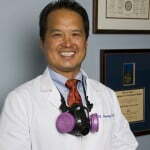 Dr. Cheung was also appointed to the Board of Directors of Healthy Housing Solutions, Inc. Healthy Housing Solutions provides policy, scientific, and programmatic technical assistance to businesses, nonprofits, property owners/managers, and public entities.